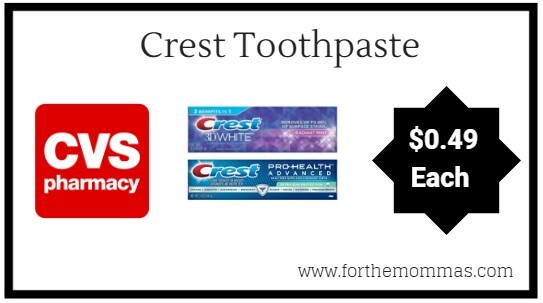 Starting 9/16, CVS will have Crest Pro-Health, 3D White, or Complete Toothpaste 3.5-6.2 oz for only $2.99 each. Plus you can add Crest toothpaste or liquid gel coupon insert to bring the price down. There is also an Extra Care Bucks offer you can submit that will make your final price only $0.49 each.